Christmas is often about giving and getting. But what if this Christmas we focused on Giving Up? What if we were able to give up things that were keeping us from experiencing all that God has for us? Let’s explore scripture together and learn to fix our eyes on Jesus; remembering the night our Savior was born in a humble manger to bring us God’s hope, peace, joy, love and salvation.Come celebrate this good news of great joy! 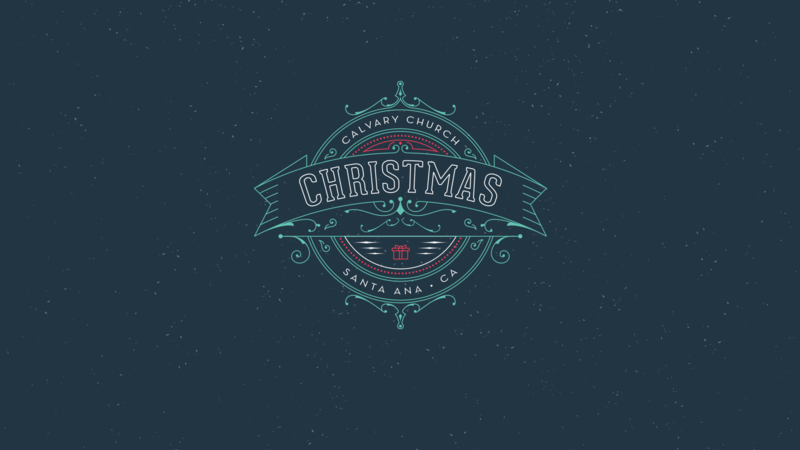 We invite you to join us this Christmas at Calvary and experience this season for all that it’s truly worth. NOTE: Sundays, December 23 & 30 are Family Services at 9:30 am. Everyone 1st Grade and up will be together in Worship Center. (Nursery-K available.) All the children (1st-6th grade) will also be invited to come up to the stage steps and help lead a medley of carol during the Christmas Sunday service on December 23! Main Lots: On campus parking is accessible by turning off of Tustin Avenue onto either Wellington Avenue or Fruit Street into the North and South Lots.